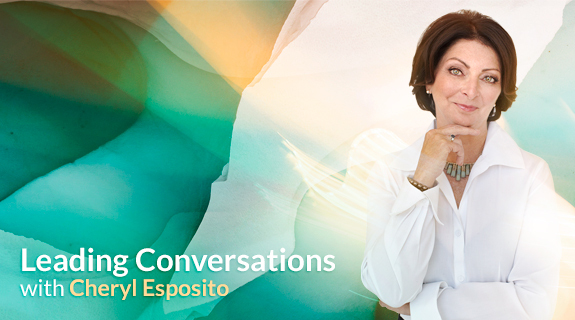 Cheryl Esposito welcomes Dawa Tarchin Phillips, CEO of Empowerment Holdings, Founder of The Institute of Compassionate Awareness, and Director of Education for the Center for Mindfulness & Human Potential at University California Santa Barbara. What is your leadership about? Power or Trust? Dawa Tarchin Phillips says “we are moving from the Age of Information to the Age of Meaning” and the requirements of leadership have transformed. Leaders who “over-invest in their own power” are destined to fail. Their currency is fear. These leaders have a need to be right. They often pretend to know the answers, so they don’t have to reveal “I don’t know.” Showing vulnerability risks power loss. Leaders for the Age of Meaning know that their power and influence comes from strength and flexibility. They invest in trust: inspiring the trust and confidence of those around them. These are the leaders who develop others and create meaning in the work at hand; they are comfortable with uncertainty. Their self-awareness is paramount for them. Dawa says “…your leadership stands and falls with the quality of your presence, the clarity of your mind, the health of your relationships and your courage in taking skillful action.” Join Cheryl Esposito and Dawa Tarchin Phillips exploring Leadership in the Age of Meaning.